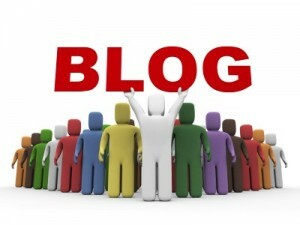 A selection of highlighted blog posts from Lean bloggers from the month of January, 2013. You can also view the previous monthly Lean Roundups here. Goals & Priorities: Your Personal Hoshin – Karen Martin shares here 6 step process for annual hoshin planning which involves hansei or reflection. Superficial Resolutions – Bruce Hamilton warns organization so creating superficial improvements by automating waste instead of eliminating it. Should We Focus on Strengths or Weaknesses – Gregg Stocker says that when developing people it is more important to focus on their strengths not weaknesses. It's Not About The Boards – Dwayne Keller says it’s not about the boards it is about the daily management system behind the boards. Lean Thinking: Respect for People – John Smith explains that respect for people is the foundation for Lean thinking and open and honest communication is a big part of it. Lean Goal Setting or Just Another Resolution? – Christian Paulsen explains a 5 step Lean Goal Setting approach will help you set goals that are both effective and aligned with the needs of your business. Supply Chain Management and Bridging the Ingenuity Gap - Robert Martichenko defines true supply chain management and the need of executives focus on stability, flow and discipline. Your Kaizen Story – Evan Durant shares with readers how they should put the Kaizen report out so that is tells a story. Poke Yoke - Preventing Inadvertent Errors – Al Norval explains an important part of Jidoka which is poke yoke a technique to prevent errors. Waiting is Less Expensive – Matt Wrye says overproduction is still more costly than waiting idle and that looking busy is not good. Kaizen, per se – Evan Durant explain the Kaizen using a personal example of preparing for running a marathon. Meetings: The Plaque of an Organization – Dan Markovitz shares so advice on too many meetings, the impact they have on organizations, and is really a miss. Don't Annoy to Help or Improve – Liz Guthridge explain how to avoid leadership complacency with 3 proven processes. The Limits of Imitating Toyota – Bill Waddell answers a readers question on value streams and whether Toyota uses them by reminding us of the failures in copying Toyota. You already have a KPO... It"s called Management – Mike Rother says that kaizen promotion office is not necessary because it is management’s job. Are Your Meetings Batched or Botched? – Maureen Sullivan explains two types of waste responsible for the lack of value in meetings; meetings were either “batched” or “botched”. The Driver's Ed Philosophy of Management – Bill Waddell shares some management flaws using the analogy of a young driver and driver’s Ed that is highly relatable. My Continuous Improvement: Personal Kanban - 3rd Revision – Matt Wrye shares his latest improvements with his Personal Kanban Journey, one we have mutually shared. This is Your Brain... – Kevin Meyer explains the power of thinking and why some companies are valuing brain power. Yokoten - Rapid, Shared Learning Across An Organization – Al Norval explains what Yokoten is and how to use this approach to share the learning within your organization. Metrics Create A Focus For The Company So Changes Lead to Meaningful Business Results – Jeff Liker answers the question of how do measure productivity in a lean way. Group Leaders Have To Compute Their Teams Productivity Standards – Tracey Richardson talks about the group leaders role in productivity metrics.